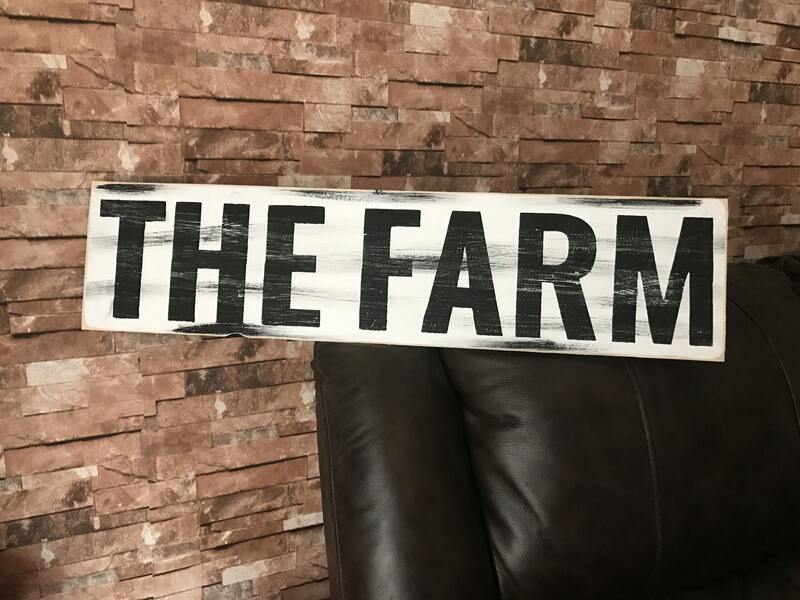 THE FARM Farmhouse Rustic Country Fixer Upper Style Farmhouse Decor Wood Sign 30 inches long! 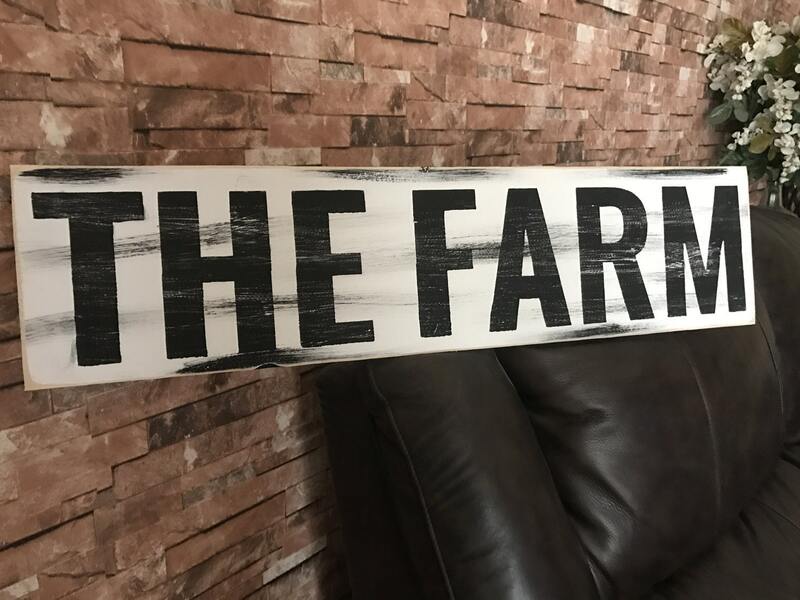 Sign has a old rustic look. White undertone with a black wash over it! All the edges and over the wording has been distressed. 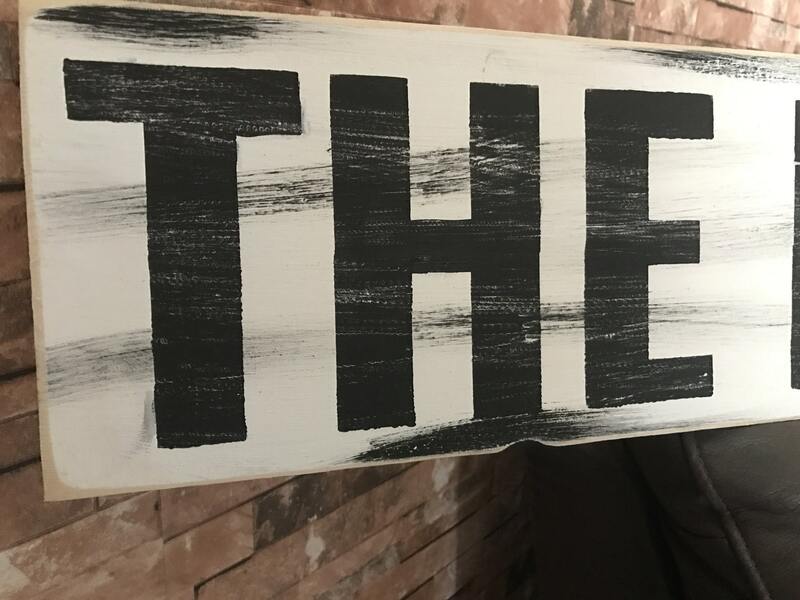 The letters are hand painted flat black. 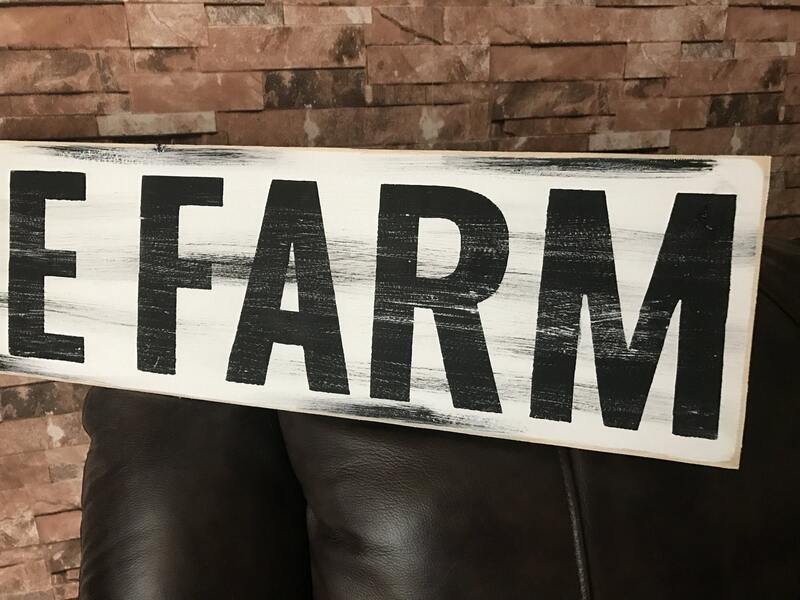 If you are a fan of the show Fixer Upper this is a must have! 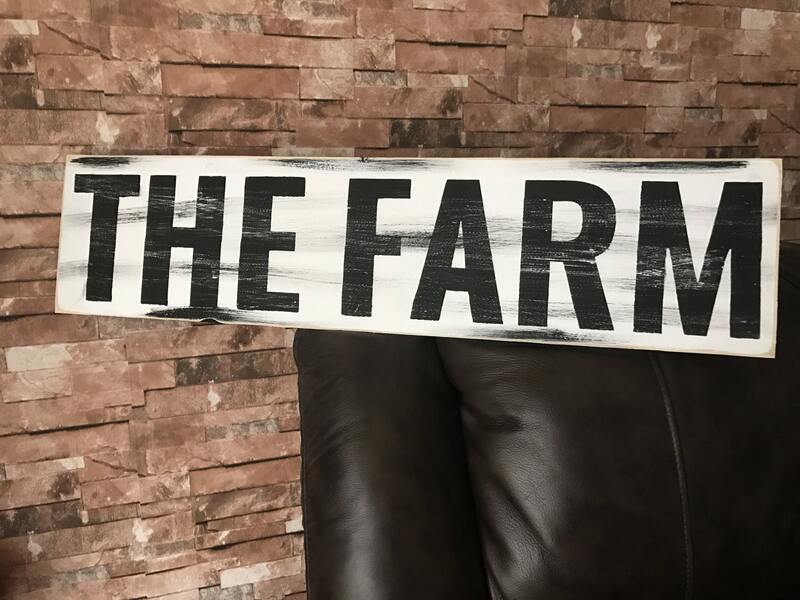 Sign is made on wood that is 1 inch thick.